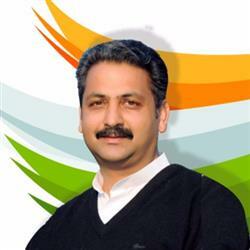 Chandigarh - Government of Punjab has given in principle approval to the “New IT policy” for the State, informed Mr Vijay Inder Singla, IT & PWD Minister Punjab. After having notified the New Industrial and Business Development Policy- 2017, process is on to cater to the sector specific nuances and soon a new IT Policy would be framed in order to cater to the requirements of Information Technology Sector, informed Mr. Singla during an interaction with the industrialists/entrepreneurs from the IT/ITeS and Electronics Industry at Software Technology Park of India (STPI), Mohali. He said that the move is aimed at a developing a holistic framework for sustainable Information Technology Sector growth in the State. Mr Singla further informed that a Special IT Task Force would be formed in the State to chalk out a roadmap to develop Mohali as the best IT destination amongst the tier II cities in the country and went on to say that this Special Task Force would be headed by an eminent IT person of national repute . 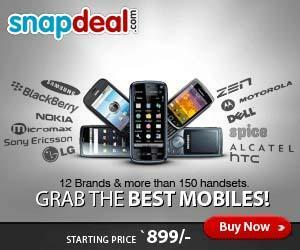 The Special Task Force would suggest ways and means to attract major IT players to Mohali. Mr. Singla said that despite an ideal pro IT echo-system for in place, the city has not been able to attract big players which reflects that there is some disconnect between the industry and the department, so this disconnect would be redressed at the earliest and earnest efforts would be taken to develop Mohali as an IT hub par excellence. He said the Task Force would give suggestions which in turn would be implemented by the Information Technology department in a stipulated timeframe. Mr. Singla added that an idea to appoint a ‘Chief Innovation Officer’ from corporate background would also be explored. Information Technology Minister said that in the order to promote IT industry, the government has also given in principle an approval to providing power to the IT industry at Rs.5 per unit in lines with the provision of power to other industries at Rs.5/ unit. Anomalies in the process are being removed and soon power would be provided to the industry at cheaper rates, said he. Along with facilitating the big IT units to come up in Mohali, department is also making sincere efforts to boost the startups and government has made a Rs. 20 crore provision for the same, informed the Minister and assured that the department will establish a greater connect with prospective units in order to understand the requirements and support and facilitate their growth. Speaking on the occasion, Mr. R.K. Verma, Principal Secretary IT, briefed about the trends, challenges and opportunities on the path of making Mohali the next big IT hub. He also informed that an incubation centre ‘Punjab Start-up’ is being set up in 40,000 sq.ft. area at STPI, Mohali in collaboration with Indian School of Business(ISB) and PTU to focus on emerging technologies. CEO Punjab Investment Bureau, Mr. Rajat Aggarwal apprised of the status of the working of the Bureau and informed that it is clocking over a thousand crores of investment per month. The industrialists/entrepreneurs from the IT/ITeS and Electronics Industry present on the occasion appreciated the pro-active role of IT minister towards supporting the start-ups and the smaller companies as well as facilitating an IT industry conducive atmosphere.